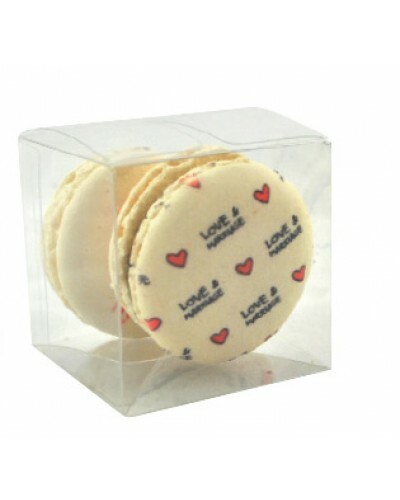 Box of 2 custom printed Macarons box. 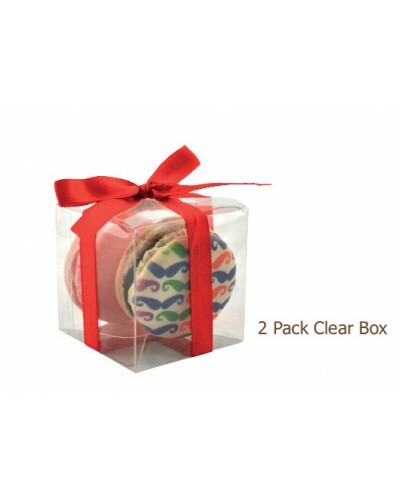 Clear cube box which can also be decoarated with a custom colour ribbon and custom printed swing-tag. Select from 5 flavours. Mix of 2 flavours per pack.